The LCA saga continues. What better day to start a new iteration on this than 15th August. Since December 2013, when the indigenous Tejas fighter was operationally cleared to join the Indian Air Force (IAF), Hindustan Aeronautics Limited (HAL) has struggled to establish an assembly line that could build the homegrown light fighter quickly and cheaply. With just three Tejas delivered until this year out of the 20 ordered in 2013, the IAF’s complaint that the Defence R&D Organisation (DRDO) had taken too long in development gave way to the charge that HAL was not building the fighter fast enough to replace the IAF’s retiring MiG fighters. Rest of the article is available to subscribers only. Can someone with subscription to the Business Standard please post the gist? Not there now, but will come up in a few days. I hope Shukla Saar's article is true, because it is amazing news. A big thank you to sheshp and kakkaji for posting this. They have been building towards this. Wsn't there news few months ago that all JIGS were occupied and planes were in various stages of integration, some almost done? Well the highlighted part also means the private sector Tier-1 players have not reached the required manufacturing-technological depth to produce co-cured/co-bonded composite structural assemblies of a scale required for LCA, and thus still relying on NAL to produce them. The obvious next manufacturing-technological step in LCA lifecycle should have been to co-cured/co-bonded wings etc ... but with the tier-1 vendors struggling with a much smaller dimension Tailfin etc, a co-cured/co-bonded winged LCA variants are not even in the horizon, it seems. Read the article. Late, hi sahi, but Independence Day ka mithaai bahut aacha nikla. @Indranil & others with Chaiwallah sources, can you please corroborate Ajai Shukla's article. He indicates that LCA Mk2 will also come soon, this seems to contradict some of the Chaiwallah info we heard so far. The sp numbers are confusing in the article don't we have sp1,2,3,4,6 already with sqn45? I have a mango question. Can LCA replace Mig 27 in a ground attack role? I know that it is multi-role one, therefore, can be used for ground attack role also. But it is not built for low level flying ground attack type like Mig 27. Right? From what I read Khan is going or trying to make F35 to do the A10 role with precision attacks on ground targets. Can we do a similar thing with LCA? If we can then we can make large numbers of LCAs to replace Mig 21 and Mig 27. What the Navy wants is a deck-based fighter, but the LCA Navy Mk 1 doesn’t meet that requirement. Its power-to-weight ratio, the thrust the engine generates [are insufficient] and it’s underpowered for the airframe. Unfortunately, even the Mk2 variant doesn’t qualify. The navy has come to the conclusion based on the design specs of the Mk 2. Apart from drawings and models, there is no flying prototype. Once that happens, things **may** change. But as of now, Mk2 does not work for the Navy. However if the Navy is insistent on a twin engine fighter, then no single fighter will work. arunsrinivasan wrote: @Indranil & others with Chaiwallah sources, can you please corroborate Ajai Shukla's article. He indicates that LCA Mk2 will also come soon, this seems to contradict some of the Chaiwallah info we heard so far. His numbers for the Mk1 and Mk1A are completely correct. I have been telling this here, "show me how HAL is behind schedule?" They had planned to build 6 aircrafts in the calendar year 2017, 12 in calendar year 2018 and 16 from calendar year 2019 onwards. Split along financial years it is 8 in the calendar year 2017-18, 10 in 18-19, and 16 onwards in 19-20. The rate determining step is the "equipping phase", currently 6 weeks per plane (giving the 8 planes per year rate). suryag wrote: The sp numbers are confusing in the article don't we have sp1,2,3,4,6 already with sqn45? Please see suryag's post above SP-5 will fly anytime soon. SP-6 is already with the squadron. Anyone has detailed report/ I don't subscribe to BS. nevermind, I saw his report from link above. Last edited by SaiK on 16 Aug 2017 20:12, edited 1 time in total. Thank you Indranil. Best news ever. SaiK wrote: Anyone has detailed report/ I don't subscribe to BS. Rakesh wrote: The navy has come to the conclusion based on the design specs of the Mk 2. Apart from drawings and models, there is no flying prototype. Once that happens, things **may** change. But as of now, Mk2 does not work for the Navy. Navys dont work on may if and buts , The CNS is quite clear Tejas in Mk2 wont make the cut sadly so but that a bitter pill we will have to swallow. The only thing that creates apprehension in my Mind is switching to MK1A after first 20 LCA instead of another 20 MK1 FOC. If the intention is just to drop in an Israeli AESA radar then it's ok but if some serious structural upgrade of LCA MK1 is being thought off in MK1A then it will lead to delay. Austin: I agree. But requirements change and perhaps their might be a need for the Tejas in the future. None of us have a crystal ball. Actually, the numbers are representative of the fact that 3 SPs were delivered to the IAF in the fiscal year that ended March 2017. SP4, SP5 and SP6 are part of the 8 that will be delivered prior to the fiscal year ending March 2018. Out of these SP4 is with the No.45 squadron and SP6 should be handed over soon. SP5 is close to its first flight as per earlier reports, which means 5 more SPs to go in 7 months. I am always for the domestic aircraft but not this one. Carrier aircraft is extremely niche area with limited volumes and navy has only couple of carriers so they really need a top of the line that is well tested and have very high upgrade potential. J35 or Rafael would be preferred choices. LCA should focus on Air force and when they have delivered on that than they can try to make a naval version. Anyhow navy is still supporting the development work so nothing really changed. The 65+K carrier would need 4-5 squadrons of aircraft where LCA can sneak in if it's ready. Gyan, Do we know the definitive changes in Mk1A? I don't think there are any structural changes. Great to hear the Tejas making its target on the Col Ajai's article. I see the end of single fighter dream/ plan. Broadsword wrote: “It earlier took us 19 months to build a Tejas, from start to finish. This is now down to 11 months, and we will be building each Tejas in nine months by September this year”, says Raju. But the decision has been quite abrupt, hasn't it? Until now reading Kartik's interview of Commodore J A Maolankar and positivity about Tejas, even a Little Complaint that Navy is being made to wait too much while all energy is focused on AF versions. Last edited by Manish_Sharma on 17 Aug 2017 14:44, edited 1 time in total. But the decision has been quite abrupt, hasn't it? Until now reading Kartik's interview of Commodore J A Maolankar and positivity about Tejas, even a Little Complaint that Navy is being made to wait too much while all energy is focused on after versions. Parrikar took it in stride. Which leads me to believe that they had been discussing the topic for some time. Thoughts? Sounds like they expect to make a LCA every 9 months. So, with two line, 8 per line, they need to start one LCA every 1.5 weeks, per line, starting the first week of the "year". * they will make between 200-300 LCAs. * but as time goes along will incorporate Mk2 items (they may decide to call it by some other name Mk1B/C/D/...). * And, the SE effort will have no -ve impact on the LCA. The SE will be a US based machine. The IN will eventually standardize on the NAMCA. Viv S wrote: The global norm for fighter jet production is 1 year lead time followed by 1.5-2 years for manufacture & assembly. Sir, that is some horrible math, or misunderstanding of how an assembly line works, or both. With a throughput of 8 aircraft per line and build time of 9 months per aircraft, the assembly line most likely has 6 stages, and the first stage starts working on a new aircraft every 1.5 months. Maybe its a blessing in disguise. One of the many things that tejas cant do, that 5gen plane can do is being VLO. Being small, tejas' RCS is already low, not like a VLO but low. Engine, Avionics, External stores and other things are pretty upgradeable ( I hope to see that happen) but the low RCS will be a good thing for a long time to come vis-a-vis the flanker derieved J series. The other thing is that - my guess - size constraint of LCA has led to a lot of space-efficient innovations that maybe handy for MCA. Can somebody or the Gurus point out space efficient innovations that have taken birth due to LCA? There is no such "Global Norm" on Lead time. It varies significantly from component to component. Assembly is only one step. One needs time to make individual components and then put them in sub-assemblies/LRUs/Modules. And then Final assembly (I suppose HAL calls this stage as "Equipping") comes in picture. Its not very clear what the article is referring to exactly, and without knowing what exactly HAL considers starting point, its not of much use to speculate. But this number does not matter that much. Because one cannot reduce it beyond a certain point. That's why need of parallel lines. Say you need 9 months for one aircraft and you have only one set of tools/jigs and fixtures. Then you make only 1.33 aircrafts per yr (well not really. The production will depend on the time taken on the longest process. Say longest process takes 2 months, then a well managed assembly line should churn out 12months/2months = 6/yr. But I am simplifying stuff here, so lets say they work serially only). But if you have 3 sets then you make 4/yr. And so on. Auto companies churn out 1car per minute or so. Does that mean it takes 1 minute to make one car from nothing..?? Obviously not. It takes weeks per car just for assembly. Only thing is a car goes around on large number of stations with few minutes to few hours per station. While an aircraft seats at one place exactly for entire assembly. Can someone who has some time at hand, please post profiles of the Tier-1 vendors for LCA..?? Names are mentioned in the Broadsword blog. The company making Front fuselage is Dynamitic Tech Ltd.
Looks like an Indian company which is doing great through offset work and slowly rising up the supply chain. They have some facilities in Europe as well. And decent order book from Airbus, HAL etc. Good to see hardworking folks getting their dues rather than Ambanis or Adanis getting readymade halwa. That's how it works in the West. Where did you hear otherwise? Case-in-point: Rafale. Ordered by India in 2016. Deliveries scheduled from 2019. 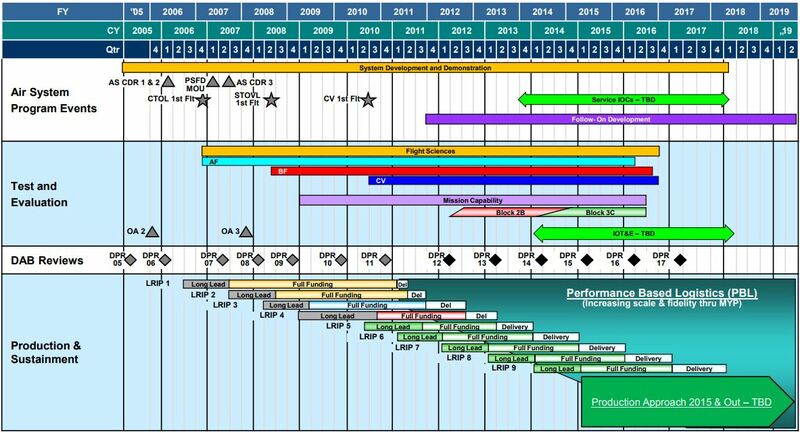 This is the F-35's production schedule. Roughly 1 year in long lead production and upto 2 years in manufacturing. Firstpost: Break it down for us, what does it take to build an F-16 in India along with a local partner? Lockheed: The F16, as with other aircraft, has a huge supply chain. We have pieces and components coming in from multiple companies - think of it as similar to a car’s supply chain. Add to this a workforce that’s already trained and they’re able to execute in total sync with the supply chain. We need to get all of the “long lead” items in, do the final assembly and check and delivery - so each plane takes 3 to 4 years. I can show you similar production schedules for the Super Hornet and Eurofighter as well. Last edited by Viv S on 17 Aug 2017 12:05, edited 1 time in total. JayS wrote: Auto companies churn out 1car per minute or so. Does that mean it takes 1 minute to make one car from nothing..?? Obviously not. It takes weeks per car just for assembly. Only thing is a car goes around on large number of stations with few minutes to few hours per station. While an aircraft seats at one place exactly for entire assembly. You're talking about production capacity at HAL. I was asking about the length of production cycle for the Tejas. That'll tell us how much lag time to factor in. If HAL is promising to deliver 10 aircraft next year then those 10 aircraft need to be in production at the moment, as should the 18 aircraft scheduled for 2019. Hence my assumption that "9 months" refers to the final assembly being conducted at HAL - with the bulk of previous stage manufacturing having been outsourced to the private sector. Well, Capacity and length of one cycle are both related to each other, don't they..?? And they would be in some stage of production already for all we know. Do we have any reason to believe they are not..? Basically the "9 month" info is useless to make any definite assertions because it does not specify what it refers to exactly. Also, the tier one suppliers are doing only structural assemblies so far (my assertion from what I see as their capabilities from their websites). They are not at the stage where they can supply fully "equipped" modules and HAL has to simply plug them together. Even with this, I suppose we will see full capability of current level of outsourcing reached only a couple of years down the line with the batch of 20 FOC fighters onwards, since the suppliers are selected only recently and they will need a couple of years to set up and stabilize their assembly process. I believe some ToT would be involved from HAL to them. HAL would be doing quite a lot of work on Equipment and final assembly stage.